Take 219 South. Exit South Fork, right onto 53 North, for several miles until you come to Wilmore. At light, make right onto 160 South. Follow to "T" intersection. Make left and then the first right (following 160 South). 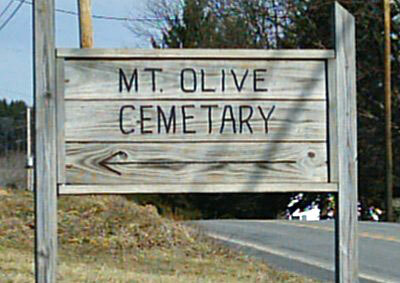 Go less than a mile and look for wooden sign on right to Mount Olive Cemetery.